Hazardous weather conditions had a local school district on alert Wednesday. The Pinal County Department of Air Quality issued a High Pollution Advisory Aug. 8, which is expected to last into Thursday. A strong outflow of winds is projected to jump start significant storms and blowing dust Wednesday afternoon. 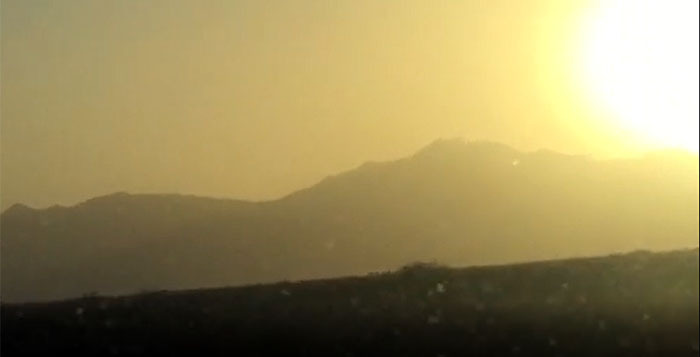 The dust is expected to contain airborne coarse particle contaminants that “can aggravate heart and lung disease conditions” in older adults, children and those with asthma, according to the county alert published on the National Weather Service website. Apache Junction, Casa Grande, Coolidge and Florence are targeted most at risk in the advisory, but Maricopa Unified School District notified parents Wednesday of their decision to issue face masks to children who walk or ride their bikes home. MUSD Human Resources Director Tom Beckett said the district has been monitoring updates from the county. Some after school activities were also cancelled. The county advises residents, especially those with respiratory or heart ailments, to limit outdoor recreational activities and to stay indoors during high pollution alerts. Maricopa High School golf, swimming and cross-country practices are cancelled. Volleyball and football will meet indoors at the multipurpose room. “Our actions were taken to protect our students and staff and keep them safe from the poor air quality we are experiencing,” Beckett said. The alert advises county residents to consolidate travel, stabilize loose soils, slow down or avoid travel on dirt roads, reduce or eliminate fireplace use and avoid using gas-powered lawn equipment. The National Weather Service predicts 5-10 mph winds and a 10 percent chance of thunderstorms Wednesday afternoon that increases to 20 percent by in the evening.